It is common knowledge that the production of opera at Gozo's Teatru Astra enjoys a well-established tradition of excellence, with the engagement of an internationally renowned cast, a fantastic opera chorus, imposing sets and scenery, outstanding costumes and spectacular lights. There is a strong educational aspect to the artistic form, be it painting, music, architecture, poetry or technology. 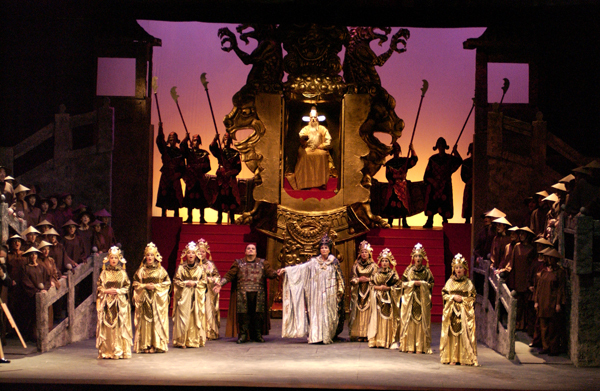 Opera brings many forms of art together; there is plenty to see, hear, follow, appreciate and admire on the stage, in the lighting, costumes, design, technology used and, above all, in the music. Opera has it all when it comes to integrating distinct yet complementary artistic styles. Teatru Astra is once again offering a limited number of seats for students of any age who would like to experience the first performance of Giuseppe Verdi masterpiece Aida on Thursday 27 October, at 19:30. A limited number of tickets can be bought at a considerably reduced price of â¬15 and booking is on a first-come-first-served basis. This offer is particularly ideal for students who are following - or are aspiring to follow - courses in music, language, design, technology, architecture, engineering, and theatre studies. Teatru Astra is supported by a Cultural Partnership Agreement with the Government of Malta.